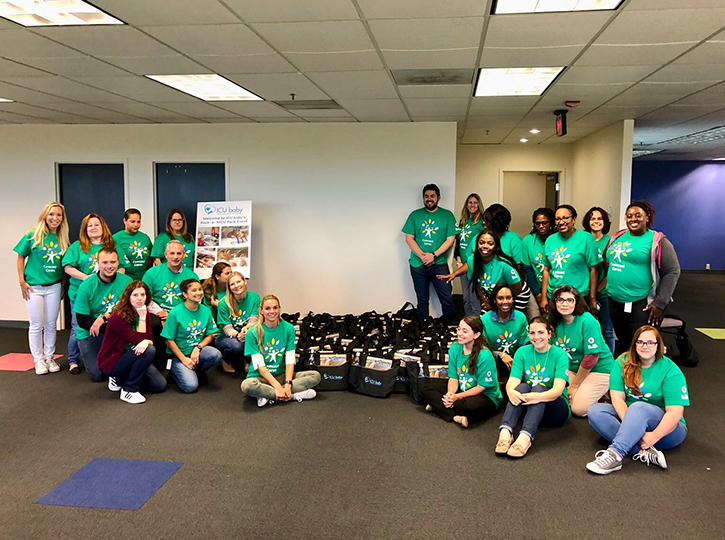 ICU baby was proud to partner with Comcast NBCUniversal and Arise Virtual Solutions for Comcast Cares Day 2018, which seeks to mobilize volunteers countrywide to engage in volunteerism with local non-profits. Arise Virtual Solutions generously hosted over 30 employees from both companies to prepare 75 ICU baby NICU Packs. Among the event’s attendees was WTVJ NBCUniversal President, Larry Olevitch, who was so impacted by the event and the mission of ICU baby that he invited the organization to appear on the news channel.